Room for an expanding stomach? Trust us, we get it. The trifecta of winning loungewear is within reach and just in time to snuggle up with a selection box and all eight instalments of Harry Potter. The latest Slounge collection just dropped and with it came a whole heap of hug-worthy styles. From relaxed, straight leg joggers to soft, snuggly hoodies, the collection was made for Christmas chill. Made from ultra soft Merino wool, the Isla Knit Collection is soft and luxurious feeling. Experience all the stay-in-bed feels in lightweight fabrics, built for lasting comfort. Easy athleisure style. The Everday Pullover and Joggers are the perfect combination of style and steez, made from a brushed fleece fabric you won't want to take off. Elasticated features ensure a comfortable fit, whilst its branded tape design and half zip feature are cute AF. Remember to comment down below with your Instagram handle and favourite Gymshark product for a chance of winning yourself an outfit! We will announce the winner tomorrow at 9:00AM. 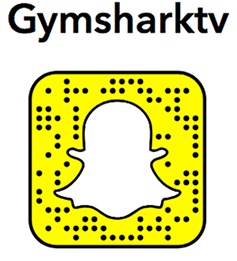 Double your chances to win and go enter on SNAPCHAT too at @gymsharktv.